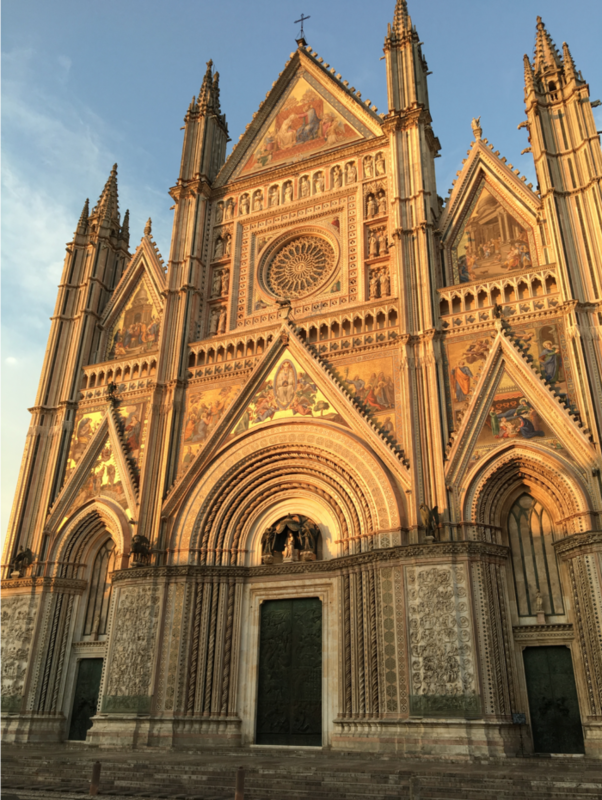 A symbol of the city itself, the Duomo is one of the most beautiful in Italy. 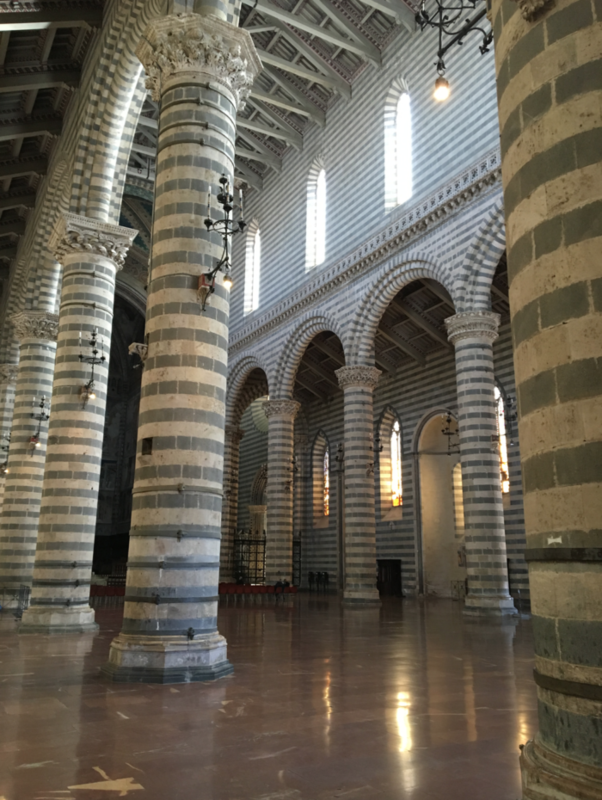 The construction began in 1290, with the support of both the Catholic Church and the city. The intent was to create one large cathedral for the city, to replace two decaying churches that existed there before. 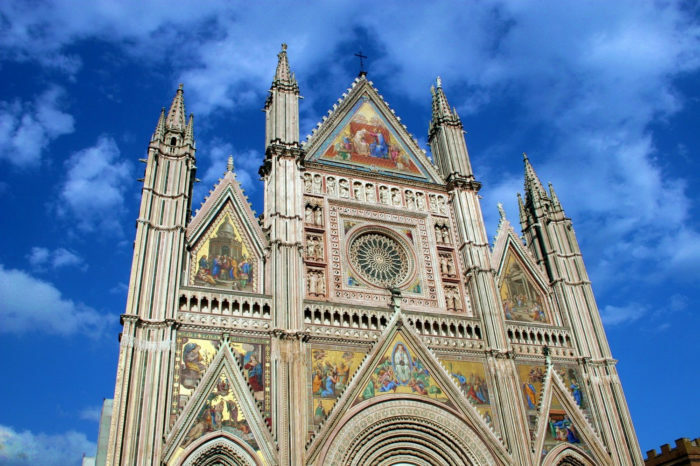 It should also be noted that the delightful story of the event of the Miracle of Bolsena encouraged the construction of the Duomo. 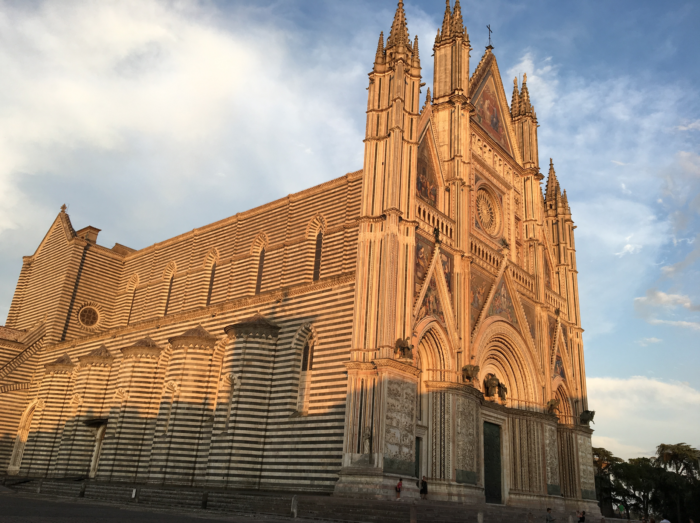 The Duomo is a magnificent building that brings together different architectural styles. In particular we can define a fine example and balance of Gothic and Romanesque styles. There were many people who participated in the various phases of design and construction. Arnolfo di Cambio, and Lorenzo Maitani, with regard to the design (in particular Maitani for much of the credit of the splendid facade) and a lot of sculptors, goldsmiths and painters as regards the landscaping and finishing. Among the sculptors is Ippolito Scalza (local architect of several works in Orvieto including the Town Hall), which can be seen inside the Duomo, the Statua della Pietà. Among the painters are Ugolino di Prete Ilario, Gentile da Fabriano, Beato Angelico and Luca Signorelli’s frescoes in particular for the two beautiful chapels of San Brizio, and the Corporale. Of particular value and beauty are the frescoes by Signorelli in the Cappella di San Brizio (San Brizio chapel) where the artist plays with skill and very engaging choreography, the theme of the Last Judgment, in a striking alternation of apocalypse and redemption. The cappella del Corporale has frescoes based on scenes from the Bible and sacred representations. 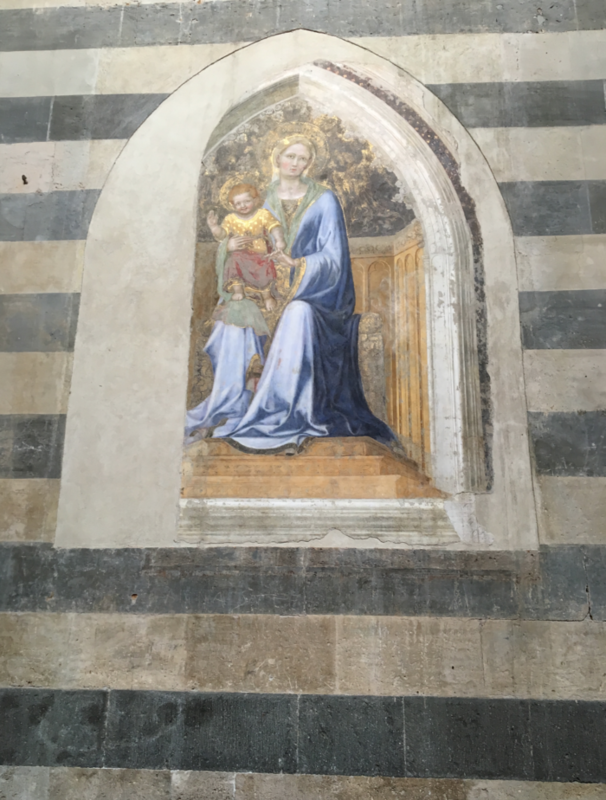 Among them stands out the painted panel depicting the “Madonna dei Raccomandati” by Lippo Memmi (dated 1320). The same chapel houses the shrine of the Corporale (admirable work of the goldsmith Ugolino di Vieri) and on display is the tabernacle containing the Holy Body of linen stained by the blood of Jesus at the Miracle of Bolsena. The Tabernacle with the sacred linen is carried in procession every year at the Feast of Corpus Domini after a historical procession.